In the Spirit of Halloween…..
Halloween is coming up in a few days, and Halloween costume parties have already begun. I hope you have your costumes already so you do not have to rush around last minute to create that perfect costume. To get you more in the spirit, here is another video for your viewing pleasure. This time it is a collection of scenes from all of the Nightmare on Elm Street films except the most recent remake. 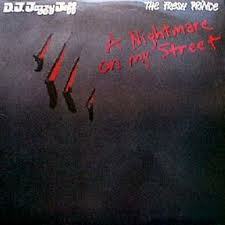 And this is set to the tune of “Nightmare on My Street” by Will Smith (Fresh Prince) and DJ Jazzy Jeff. Check out the last HalLoween video HERE. Is ‘Fresh Prince of Bel-Air’ Coming Back To Series?!?! This entry was posted on Thursday, October 28th, 2010 at 3:26 pm	and is filed under News. You can follow any responses to this entry through the RSS 2.0 feed. You can leave a response, or trackback from your own site.